Do you have a daughter and is she a right bossy boots? Chances are most of you parents (mums) with off-spring of the female kind will be nodding your heads. Well, stop it, now! That’s the message from Leanin.org, the nonprofit organisation founded by Facebook COO Sheryl Sandberg to empower all women to achieve their ambitions, and Girl Scouts of the USA. Yes, I can hear the groan from my sofa, it’s our friends over the pond but if you haven’t yet discovered Leanin, I would urge you to take a look; the messages are positive, the information is relevant and I think it’s something which is long overdue. 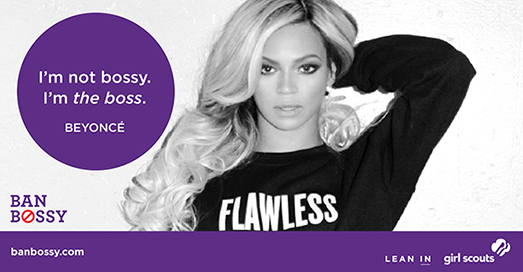 Their latest campaign: Ban Bossy, which includes the website banbossy.com and is backed by the likes of singer Beyonce, will make you stop and think. Ban bossy argues that if a boy asserts himself he is viewed as a leader but if a girl does the same she is often referred to as ‘bossy’ which, over time, chips away at self-esteem and dissuades girls from speaking out. 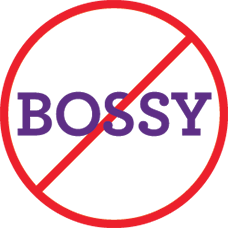 In fact, my partner is continually referring to me as ‘bossy’ albeit in a jokey fashion but on reading this I have decided to ban the word – he says it in front of my daughters and whilst they are teenagers, 14 and 16, they are still seeing a woman taking the lead and being chastised for being ‘bossy’. Most importantly, we are challenged to think about how we use the word ‘bossy’ and how our use of it can be contributing to discouraging girls from putting forth their views. Interestingly, the guide refers to a survey which found that more than 80% of senior women executives played sports growing up, something I have blogged about previously. Even if your daughter is not athletic, find her a team – a dance troupe or a synchronised ice skating club! Just remember, though, mums, there’s a difference between being assertive and being a stroppy little madam! Perhaps the biggest difference we can make is to openly discuss the perception of women on TV and in films. We all know what we see on the screen in terms of looks, personalities and as role models, bear little resemblance to real life but do we talk about it to our daughters or, for that matter, our sons? Ban Bossy recommends as a family we ask ourselves a series of questions about the perception of males and females in films and discuss openly afterwards, although it helps to do this with something you’ve seen before and encourage even young children to contribute. 1. Does the movie have at least two named female characters? 2. Do the female characters talk to each other? 3. Do they talk to each other about something other than a boy or man? According to the Geena Davis Institute on Gender in Media, male characters outnumber female characters by almost three to one in family films—a ratio that hasn’t changed since the end of World War II. However, Ban Bossy also acknowledges the depiction of male characters, as heroes who defeat the villain, usually violently, and then reaps the rewards, can be equally problematic. You can show your support for Ban Bossy by using the hashtag on Twitter “I will #banbossy” and visit banbossy.com whilst at bechdeltest.com, you’ll find a list of films which ‘pass’. 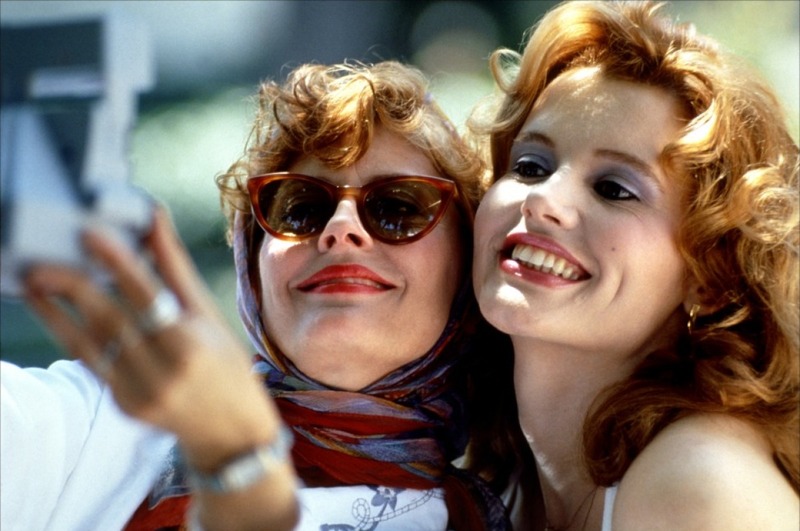 In fact, Ban Bossy lists 65 films with strong female characters – good to see a few contemporary Disney films like Mulan and my personal favourite Lilo and Stitch although was very excited to see Thelma (played by Geena Davis) and Louise (Susan Sarandon) listed – now on the Love Film wish list and rest assured it is recommended viewing! This entry was tagged assertive, Ban Bossy, Beyonce, Females, Films, Girls, leadership, LeanIn, Movies, Thelma and Louise, Women. Bookmark the permalink. 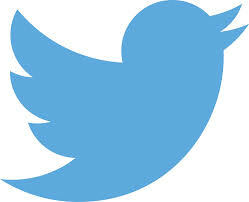 « Happy International Women’s Day, Ladies & Gents!